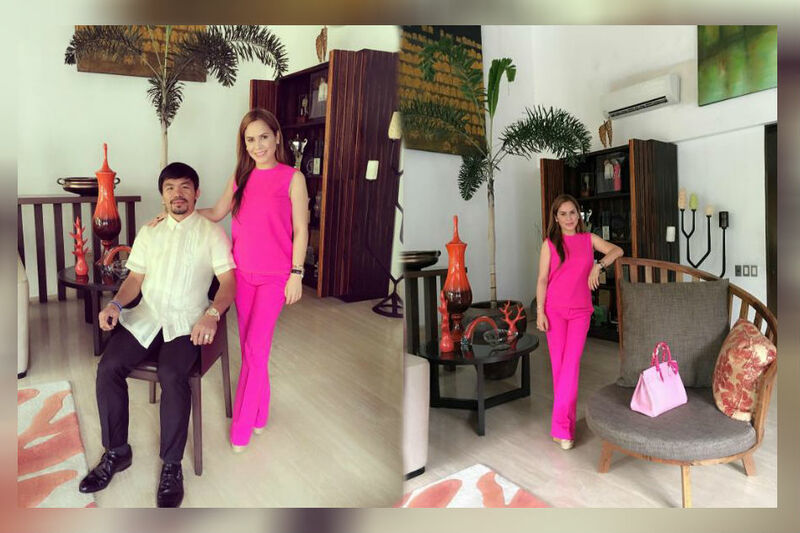 MANILA - Jinkee Pacquiao, wearing a bright pink ensemble, is standing beside her husband, boxing icon and senator-elect Manny Pacquiao, who is clad in a barong tagalog. The couple poses for a photo in the middle of a room adorned with a muddle of glossy and muted-colored objects. A towering dark brown cabinet sits in the corner of the room with a fancy-looking floor lamp. A tall and thin potted tree demands attention as the centerpiece to the open-plan space, while a collection of vases, as eye-catchy as Jinkee's clothes, rest underneath. Judging from Jinkee's Instagram posts over the past two weeks or so, the Pacquiaos' Forbes Park mansion in Makati City boasts of an aesthetic look like this one: simple, elegant with a punch of color. Here's a sneak peek inside the home of Jinkee and Manny.